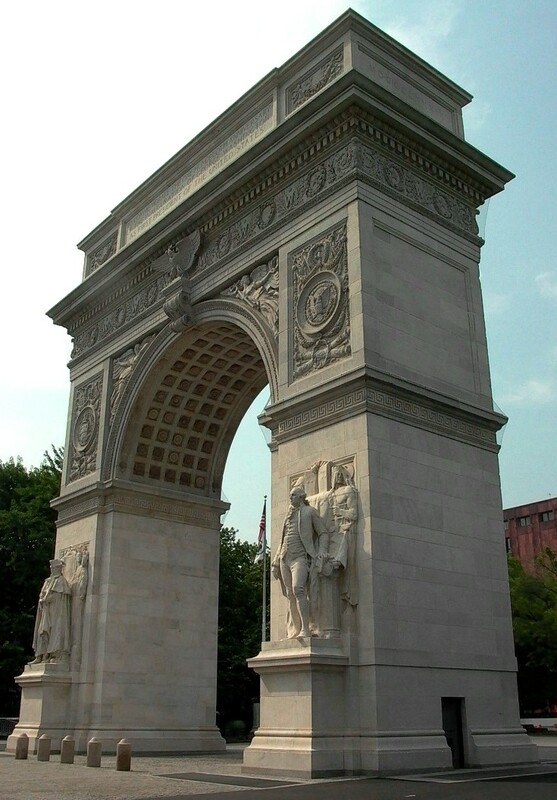 The Washington Square Arch was designed by Stanford White and dedicated to New York City in May 1895. 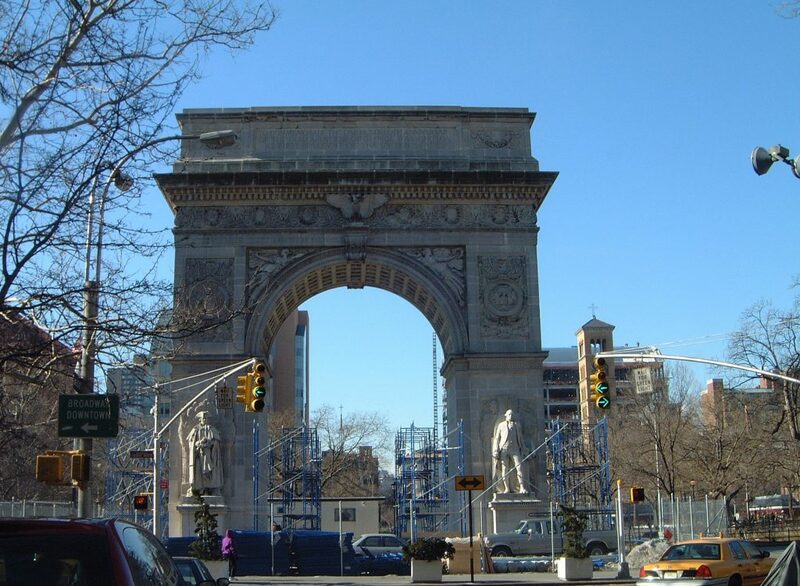 The grand arch was an expression of the “City Beautiful” movement, which aimed to create a unified Classical character in civic monuments. 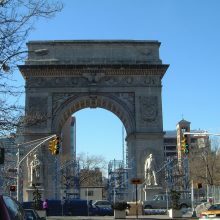 The Arch’s Tuckahoe marble exterior began to deteriorate nearly from the time of its installation. 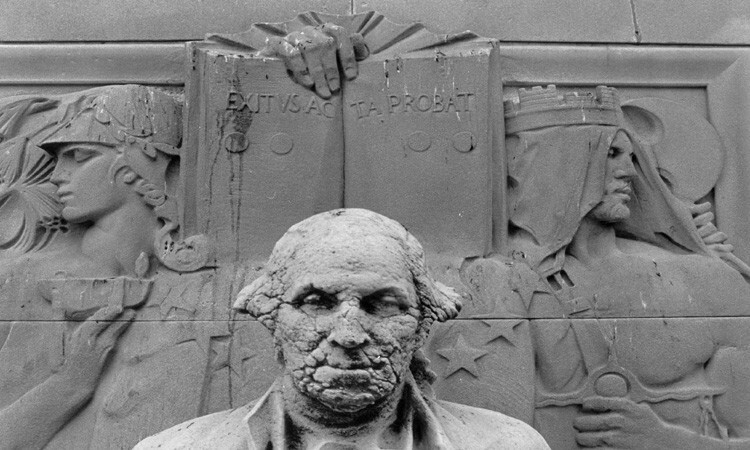 Weathering, pollution, water seepage, roosting birds, vandalism, and inappropriate treatments contributed to the widespread deterioration and erosion of the masonry surface, and in some cases complete loss of sculptural elements. 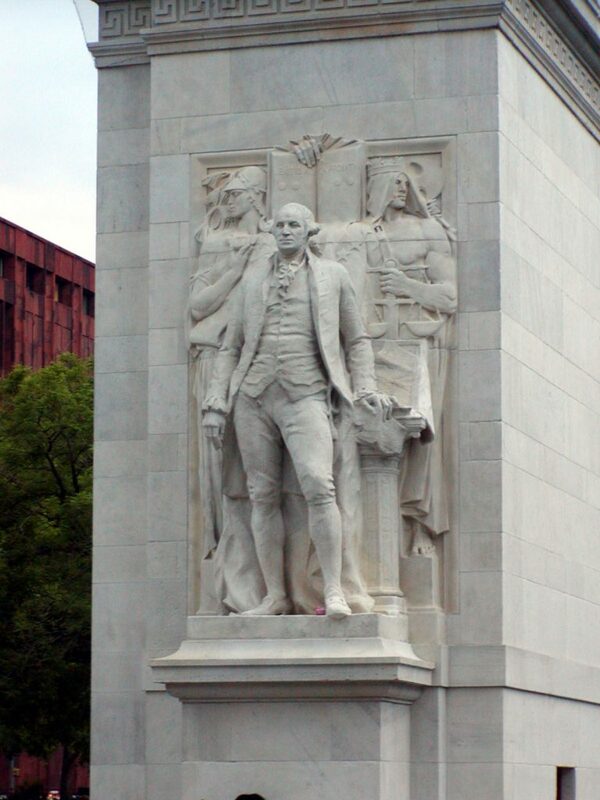 We developed and oversaw treatment implementation that addressed the repair or replacement of missing and damaged elements, conservation of the statuary, cleaning, water-proofing and birdproofing, and general masonry repairs. 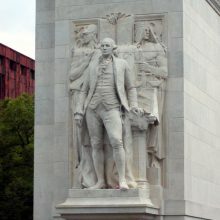 All paint and underlying graffiti stains were removed from the statuary and reliefs. 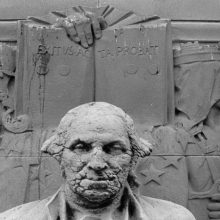 Open fissures were filled with a lime-rich cementitious mixture to reduce the potential for further damage. Damaged elements stabilized with injections of low viscosity epoxy and the insertion of stainless steel pins. Sculptural elements were gently cleaned and netted with nylon mesh to prevent bird nesting and provide a protective net should any failures of the carvings occur in the future, and the roof membrane and drainage systems were redesigned and replaced. 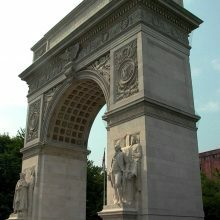 The project received awards from the Greenwich Village Historical Society for contributions to the quality of life in Greenwich Village, and a Lucy Moses Preservation Award from the New York Landmarks Conservancy.